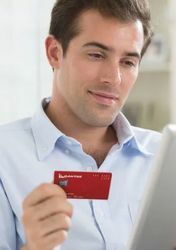 Flashing your metal AMEX Platinum Charge Card or the invitation-only Centurion Card will carry less weight at American Express Centurion Lounges from March, with the global card issuer clamping down on worldwide access to its own brand of VIP lounges. Come March 22 2019, cardholders will no longer be admitted to Centurion Lounges after arriving on a flight, as is currently possible where capacity allows. A new time limit will also be introduced for departing passengers from the same date, who’ll be welcomed into Centurion Lounges a maximum of three hours prior to their flight’s scheduled departure time. Only passengers connecting between flights will be exempt from that three-hour time limit, and only at their transit point when proof of a connecting flight can be provided, such as by presenting both the inbound and onward boarding passes, or a travel itinerary, at the lounge reception desk. For Australian travellers, that’s particularly useful in Hong Kong, where it’s common to have connection times of more than three hours when jetting between Australia and some European destinations such as Paris with Cathay Pacific or Helsinki on Finnair. As an example, a passenger arriving into Hong Kong at 3:30pm on Finnair flight AY99 from Helsinki with an onward connection to Sydney later the same day – such as CX111 at 7pm, CX161 at 9:25pm, QF118 at 11:35pm or CX101 at 11:55pm – could head straight to Hong Kong’s Centurion Lounge and remain there until their onward flight is called for boarding. Passengers travelling solely from Hong Kong to Sydney, however, would only be admitted to the lounge three hours before their flight’s scheduled departure time: 8:35pm for Qantas passengers on QF118, for instance. There's no change to the number of guests Platinum Charge Card and Centurion Card members can bring into the lounges, which remains at two additional guests. Centurion members also retain the ability to swap their normal two-guest allowance in favour of bringing in their spouse or partner plus all their children aged 17 or under. 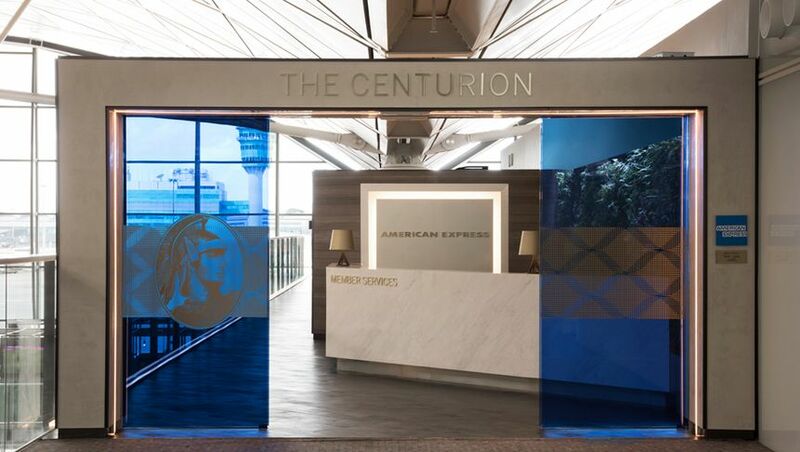 American Express currently operates Centurion Lounges in Hong Kong, Dallas/Fort Worth, New York (LaGuardia), San Francisco, Houston (IAH), Las Vegas, Miami, Philadelphia and Seattle, with new lounges also planned for Los Angeles, New York (JFK), London Heathrow, Denver and Charlotte. The AMEX Lounges in Sydney and Melbourne are technically unaffected by this change, as they’re not ‘Centurion Lounges’, but access on arrival without an onward international flight has never been possible here, given Australia’s security requirements at international airports. The Seattle Centurion Lounge will also close for a brief period in March for similar upgrades, although AMEX is yet to share firm dates. Sadly, the lounge in Hong Kong is in desperate need for better quality management... While I do appreciate that in recent weeks they offered one starter with real Caviar in the Centurion section (this week with salmon, last week with white crab meat), staff is not polished, speaks loudly, they leave all the doors open to the kitchen and cleaning supply room, the white walls around the restrooms area could use a paint job, and the food in general is not what it used to be. One of the staff members I saw in the restrooms NOT washing his hands after doing his business, grrreat. These lounges - particularly in the US - have lost some of their lustre on account of overcrowding, on which I suspect these most recent restrictions will have only a minor impact. As unpopular as it would be, limiting guesting privileges is the only way I can see the lounges returning to the less zoological conditions one enjoyed when they first opened. The F&B offerings (esp. the martinis!) remain impressive, however - bested only by Polaris in SFO, for example. Bingo. They need to rethink access for guests. These changes on time limit is fairly reasonable. Where they need to re-focus is overcrowding and I will dare to say it, raise the bar on access. Last time I tried the Sydney lounge as a Plat Charge, families doing "lifestyles of the rich and famous" on their Amex credit card lounge vouchers was enough for me to run straight for the QF F lounge. If you have access to the QF F Lounge why were you trying to get into the Amex Lounge? Fair question. I'm a Platinum Charge member and as Amex opened their signature lounge I thought I would give it a go, I've walked past it several times. Concept great, but not at the calibre of a Platinum/Centurion annual membership fee level. Other lounges I have visited in the last 12 months are losing their lustre as. Especially visitors dressed up as backpackers. Food quality is declining as well. I know 2 American billionaires, yes with a B that look like backpackers when they travel. It's more important to me how people present themselves in the lounge, not their bank balance. Rather than limit the number of people entering per card they create a very arbitrary length of visit. Do they then hunt ya down and kick you out when the clock strikes 180 minutes? This policy really seems to miss the mark for a service the cardholder is paying for. I bet it gets revisited. Reminds me of New Coke, same brilliance. they can just refuse to admit you until the clock shows 180 minutes before your departure. I did a site inspection on a recent work trip and it was quite crowded. We had access to the Skyteam lounge downstairs and this was much bigger and far less people in there as well. I don’t know if people lounge hop maybe? Comment on "American Express tightens Centurion Lounge access rules"